Model 2008 is designed for high volume shops that need quick, precise, bending and end finishing. The 2008 offers the convenience of a knee pedal control and a reduced size control panel. 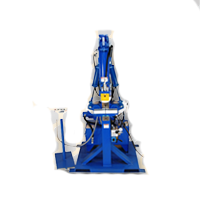 This allows the operator to get closer to the work area for more precision and less fatigue. The Smart Automatic Mode features an adjustable return-to–home position control. This unique, timesaving feature increases efficiency by assuring fast and easy transitions between multiple bends. Model 2008 comes with a 5 horse power motor and provides 58,000 LBS of bending force. An optional 7 ½ horse power motor is available for 25% faster bending. In the automatic mode, the automatic depth-of-bend selector ensures precise bending control through the use of an easy-to-read, easy-to-adjust depth of bend plate. 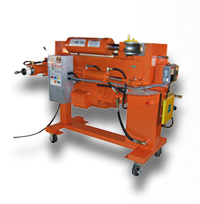 The heavy duty swager/expander gives you complete end finishing capabilities. The swager end accommodates 1” to 3” tubing. The expander end allows for expansions from 1” to 5 ½”. With Huth’s Accu-Sizer bull’s-eye expanding system, you can dial in precise expansions every time. 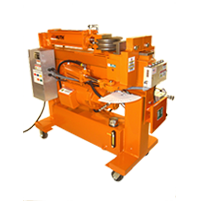 The 2008 bender is available with your choice of tooling packages. *Shown with optional Ready Rak II and 028 Die Pkg.